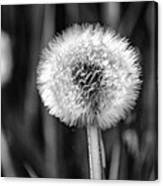 There are no comments for Dandelion Fluff Black And White. Click here to post the first comment. The dandelion is said to represent the three celestial bodies of the sun, moon and stars. The yellow flower is the sun, the white fluffy head resembles the moon and the dispersing seeds resemble the stars. 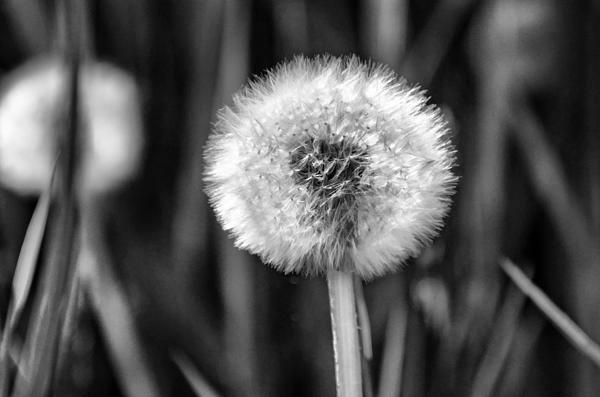 At one time people would pull grass out of their lawns to make room for dandelions. 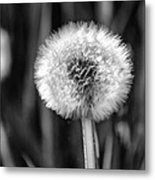 Most people only recognize a few plants but Dandelions are most likely one of them. 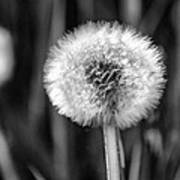 Who hasn't grabbed one of these as a kid and had fun blowing on them until all the seeds have blown away while making a wish? Seeds are often carried as many as 5 miles from their origin!